Thursday was essentially the last day of our trip. 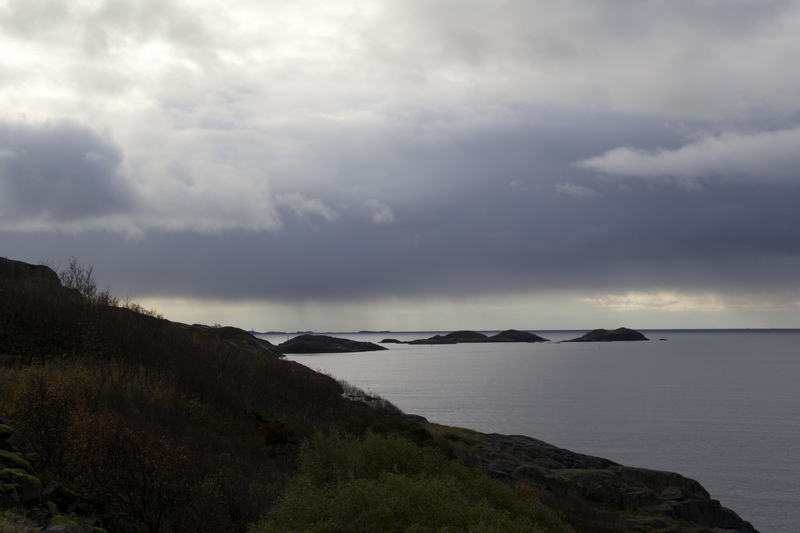 Alix and I had opted not to retrace our steps back to Moskenes and instead decided that we should drive overland back to Bodø. Little did we realize how long that would take. 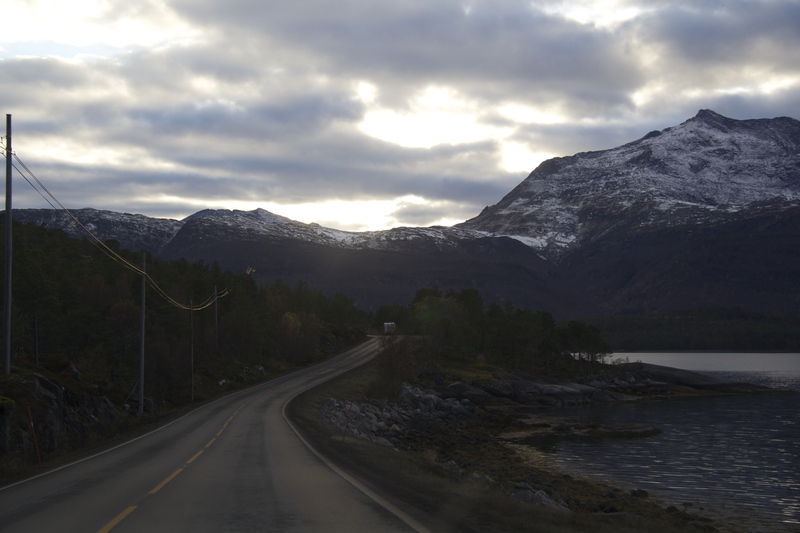 Eventually, with the help of our GPS system we decided that the best way to head back to Bodø was to drive to Lodingen, catch the ferry to Bognes, and drive the rest of the way to Bodø. In short, an eight hour journey. 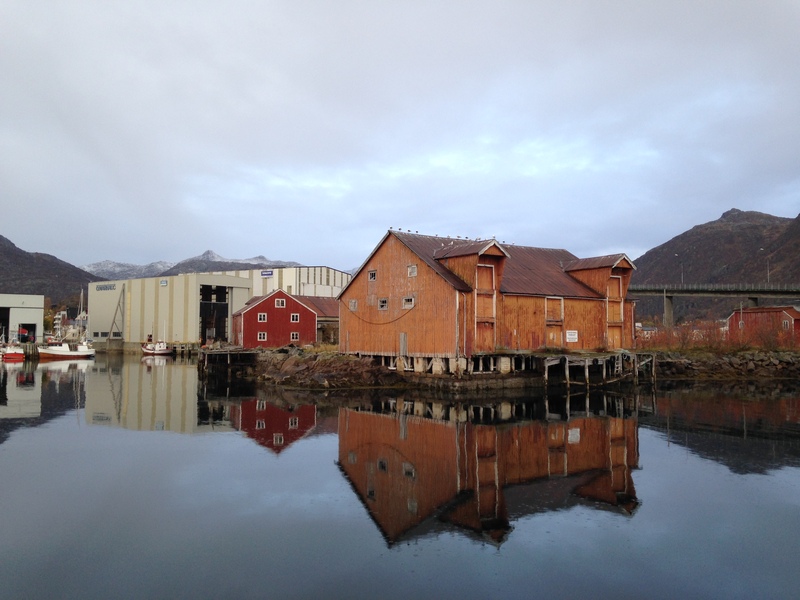 Although we had a long drive planned for the day, we decided to spend part of the morning looking around Svolvær. 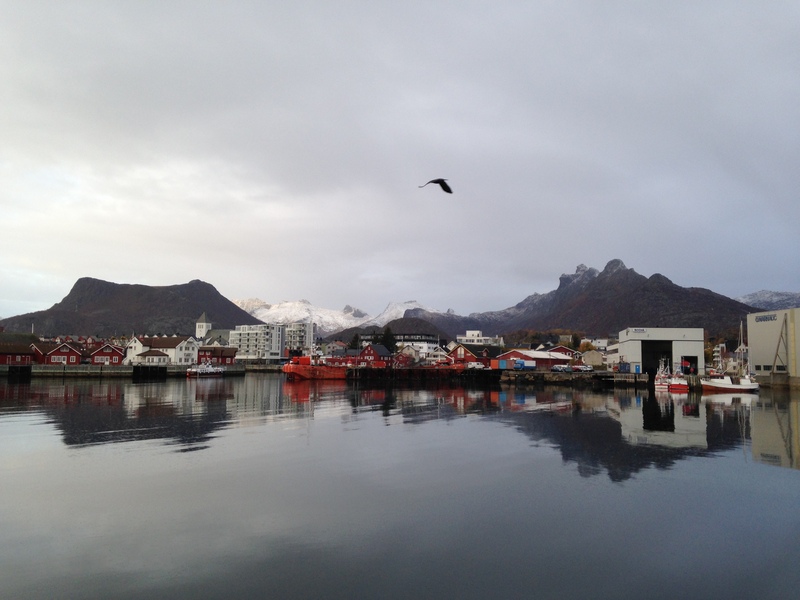 Compared to many of the other towns we had stopped by, Svolvær was huge. Not only did it have a grocery store, it also had several well known companies established there. Because the weather was wet and dreary we only spent a small amount of time walking around, but we did enjoy stopping by the store of a local photographer and ended up leaving with our arms fuller and our wallets emptier. 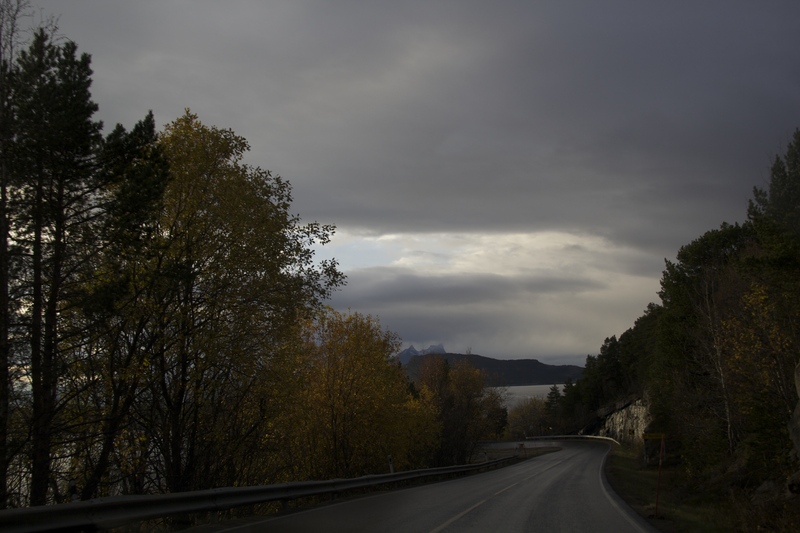 Once we had safely bundled up our purchases we hit the road. 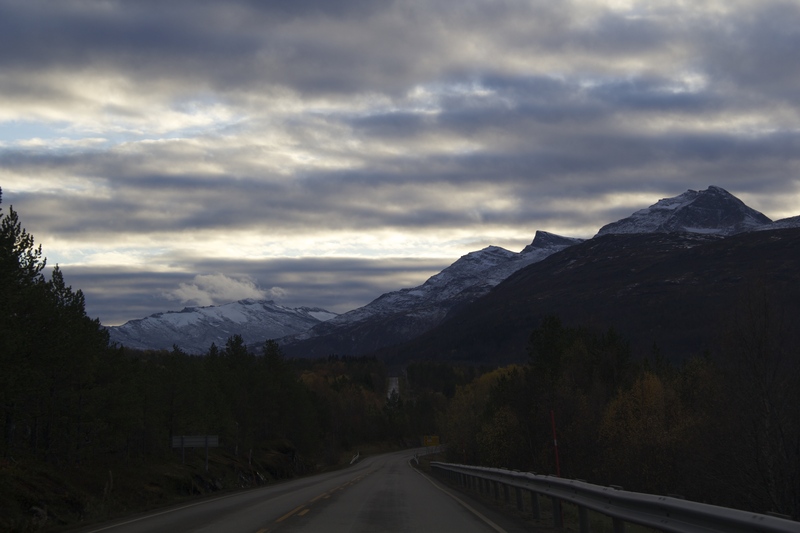 While the drive itself was long it never failed to offer us some beautiful views. 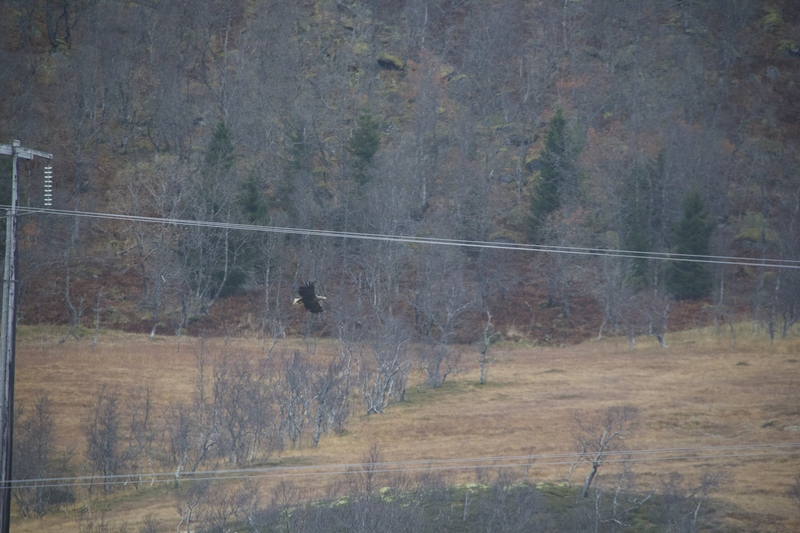 Alix and I were also incredibly lucky–we spotted a sea eagle! Lucky for us it flew right over the bridge we were crossing so we could hardly fail to miss it. 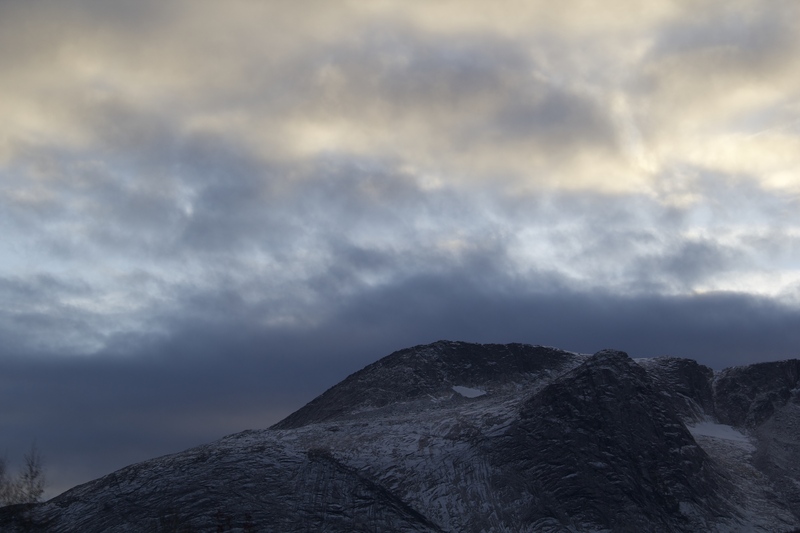 We were much less successful in our attempts to spot a moose, but were pretty content with having seen the sea eagle. While our journey was long, it wasn’t as bad as I thought it would be. 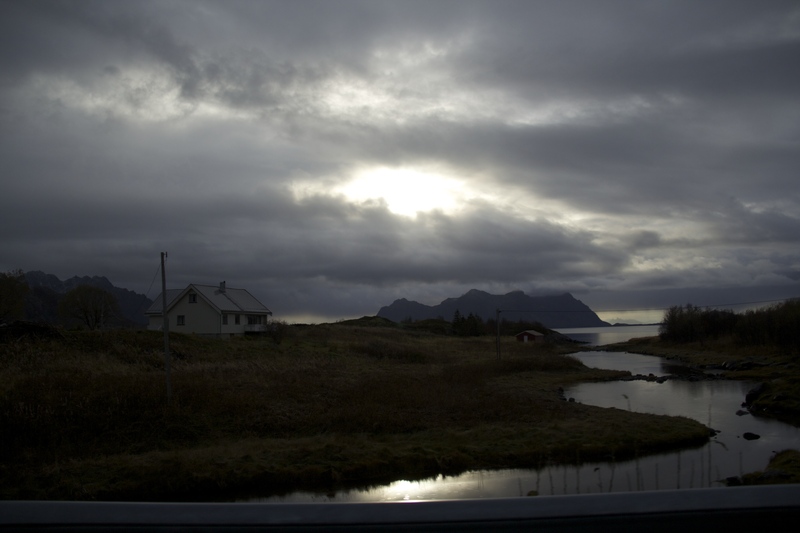 It did take eight hours, but one hour involved waiting for the ferry and the ferry ride itself was another hour. 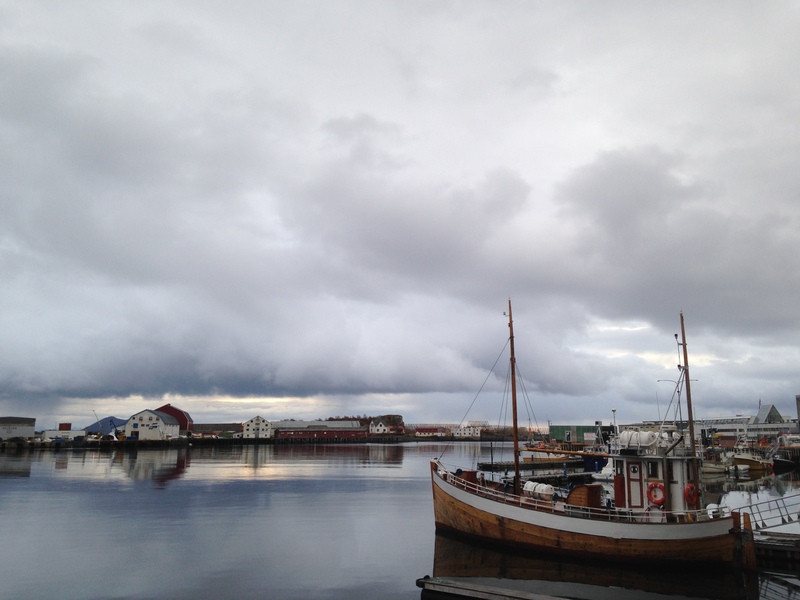 So, in total we had six hours of driving and two hours involving the ferry. 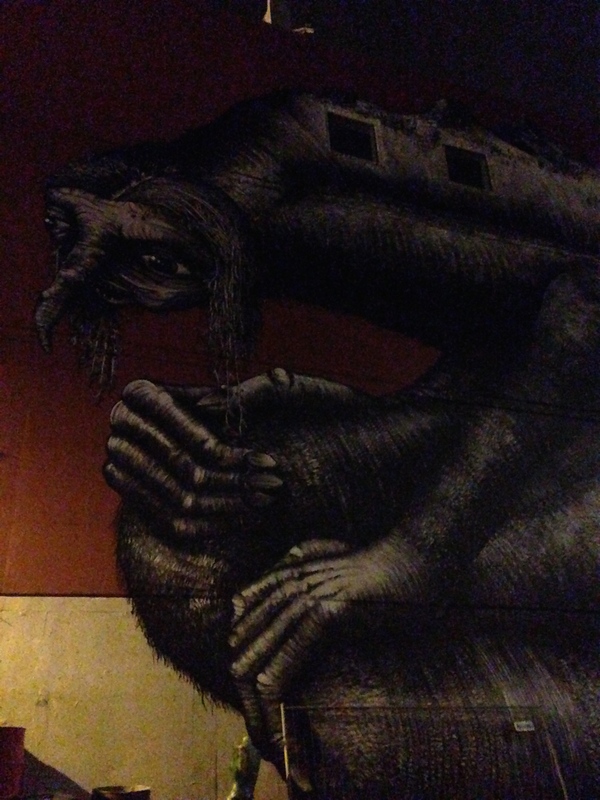 After we arrived in Bodø, Alix and I had dinner, returned the rental car, and admired some local graffiti before heading to the train station. 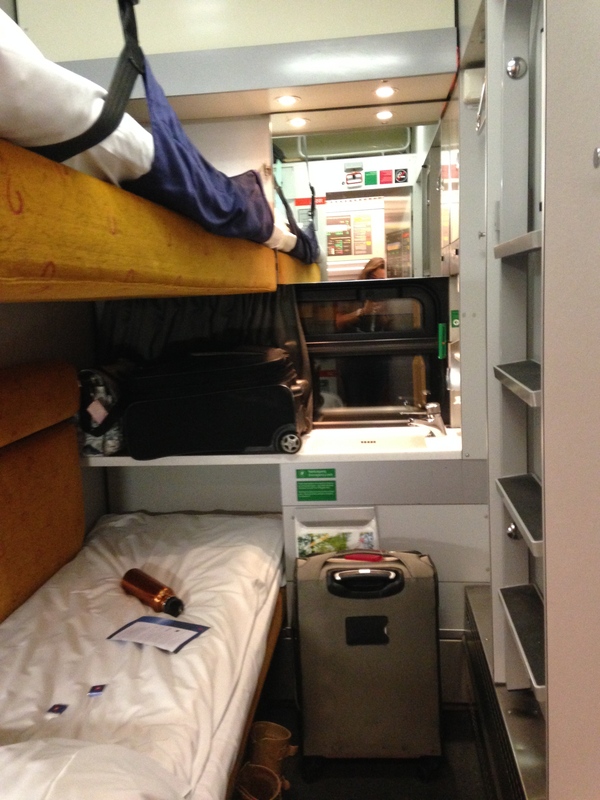 We had decided to take a sleeper train back to Trondheim and were excited to see what it looked like. It was in fact cramped, neither of our standard airport carryons could fit underneath the bunk bed, but we managed to do just fine. I will also say that although I buckled in a harness around the top bunk, it wasn’t really necessary. 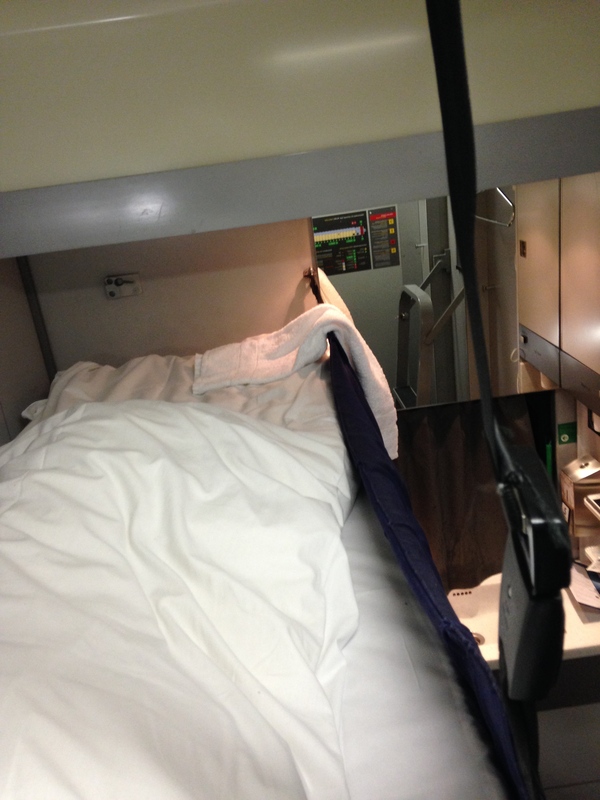 NSB train rides aren’t always the smoothest (walking down the aisles while the train is in motion is usually similar to walking along any sort of path highly intoxicated) but the ride wasn’t so bumpy that I was actually in danger of falling out of the bed. 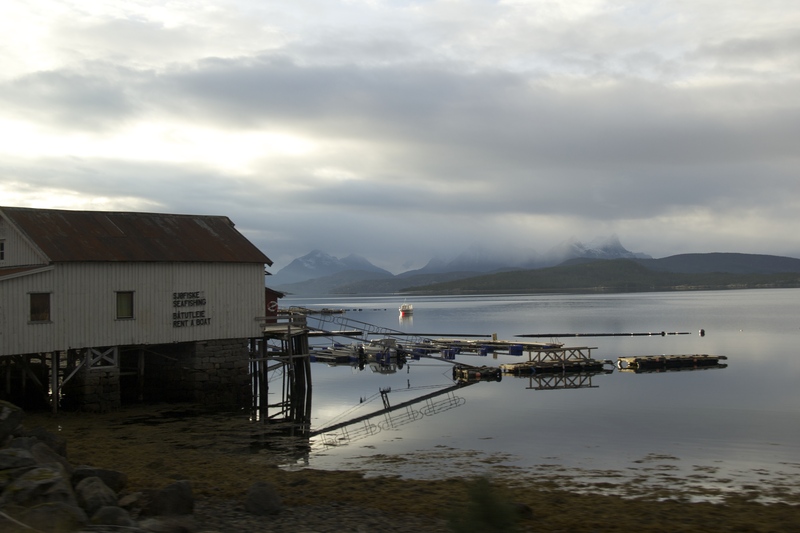 The train ride proved to be a fairly uneventful one, and we pulled into Trondheim’s central station at 7:47 am on Friday. 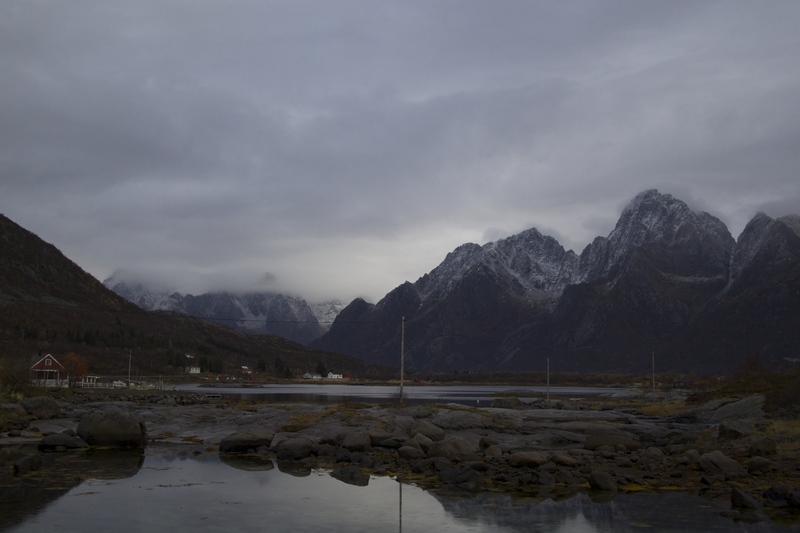 While getting to and from the Lofotens was a bit of a trek, I will say that it was definitely a worthwhile trip and one that I would highly recommend.